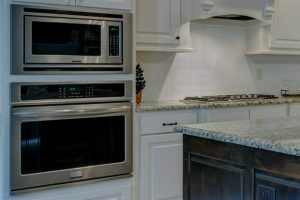 Single Ovens: these are less expensive due to the fact that you only have one oven to roast, grill, and bake in which is limiting if you want to roast and grill at the same time, or if you want to do a whole lot of cooking! On the plus side there’s a wider choice of single ovens on the market than any other type. Double Ovens: these offer you a grill in the smaller top oven, and sometimes in the main oven too, giving you the option to grill and cook at the same time. With two ovens you can cook dishes at different temperatures, using both units. With fewer models to choose from and more space needed to install them, you’ll need to consider your kitchen layout carefully. Compact Ovens: these are ideal if you’re tight on space as they’re smaller than a single oven – about the same size as a large built-in microwave. They normally have a grill inside the oven compartment, but there’s not really that much room inside. Fittings – will your kitchen house a single oven under your worktop or a large double oven? Cooking functions – specific settings make it easier to get great results! You can select gas or electricity for your energy source – remember to add installation costs for gas if you haven’t already got a supply. Although the initial costs for a gas oven may be more, reduced energy costs will pay back your outlay over time. 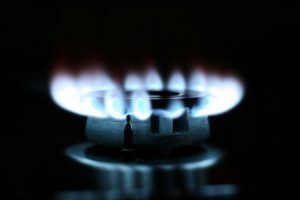 Gas ovens do occasionally provide uneven heating throughout the oven causing issues with browning and baking, so you need to be aware of that. Electric ovens may be cheaper to buy but can be more expensive to run. They’re easy to use, simple to keep clean, and achieve even cooking. Another advantage is the availability of convection and conventional varieties, giving you a great choice. Convection ovens use fans to circulate air which cooks faster and at a lower temperature, whilst traditional or conventional ovens heat the air around the food to cook it. There may come a time when even after all the careful maintenance you’ve carried out, you’ll have a problem that you can’t fix. All you need to do is look for a service providing oven repairs in North London that suits you! Look for one off charges, return visits included, and with six months guarantees on all workmanship. Get a quote from a company that’s happy to help you!